"Dancing with the Stars" is back. With the free agency frenzy simmering down, we're using our unlimited amount of cyber-ink to discuss the wildly popular dance show instead of pure football. This year's crop of contestants contains a number of NFL stars of present and past, including Super Bowl MVP Von Miller, Pittsburgh Steelers wide receiver Antonio Brown and former quarterback Doug Flutie. NFL players have thrice taken the DWTS crown, with former Green Bay Packer Donald Driver winning in season 14. So, here's our unofficial, yet highly scientific breakdown of the top NFL players on DWTS. 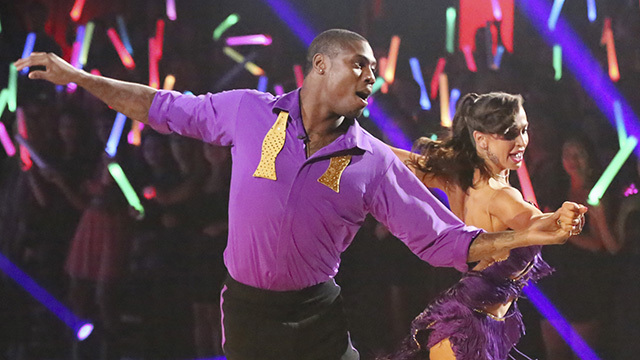 An all-time great wide receiver, Irvin faltered a bit on DWTS. He finished seventh when he appeared on season 9. Irvin did have the right attitude to win, as he was willing to do anything to improve. Seriously, anything. A standout in terms of end zone celebrations, Ochocinco (as he was still called at the time) was only able to dance his way into a fourth place finish in season 10. Perhaps if heâ€™d been able to use more pylons as props he could have made it farther in the competition. The sack-master had his share of struggles on the dance floor, but turned in a solid enough performance for a seventh place finish. Secretly, I was hoping LT would pull a Terry Tate office linebacker and dive over the judges table after a poor review. I'm sad to say this never happened, but LT was entertaining nonetheless. Warner became the first quarterback to appear on DWTS, and danced his way up to a fifth place finish. He seemed to be a crowd favorite from what I could assess, but his dancing evidently left some wanting more. It appears that charisma alone can only get you so far. You need to throw down on the dance floor to really win over the voters, and Warner lacked the chops (and flexibility) required. The G.O.A.T. was the first NFL star to appear on DWTS, and did not disappoint by finishing second. Rice turned his football skills into some fancy footwork, and put his tremendous work ethic to use in learning the many styles presented to him. Even though the former Baltimore Ravens wide receiver fell short of winning it all in season 16, finishing third, he did deliver a sizzling salsa with Karina Smirnoff that earned a perfect score from the judges in the final round. 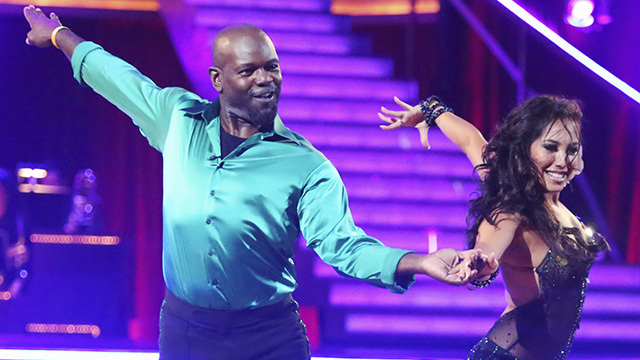 The four-time all-pro turned his strength, agility, and length into a successful run on DWTS season 6. Taylor was able to lift his partner Edyta all around the stage, but unfortunately he failed to lift the mirror ball trophy in the finals. Taylor looked like a natural in the dances I saw, which is why I have him as the top NFL player that didnâ€™t win the competition. Ward helped distract Steelers fans from a rough offseason after their Super Bowl loss by blazing his way to a victory in season 12. Ward proved adept at picking up the different styles, and flashed his big smile just enough times to win the hearts of housewives all around the country. Choosing the top two gave me more trouble than I figured possible in a post about DWTS. Smith won season 3 thanks to his fleet feet and ability to master almost any dance style. The all-time leading rusher in NFL history clearly had a great time in every dance, which helped win over the judges and America. Also, doing a freestyle dance to "U Can't Touch This" by MC Hammer doesn't hurt. Driver was the third, and in my expert opinion, best DWTS contestant from the NFL. Driver improved as the season went along, and rocked the final round. It doesn't hurt that he's ultra-likable, in phenomenal shape, and has a smile that makes dentists' hearts flutter. With Driver going from seventh round pick to Super Bowl champion to DWTS champion, I had to give him the nod over Emmitt.